Apply a systematic pattern recognition method to achieve more accurate diagnoses with Practical Breast Pathology: A Diagnostic Approach. Using a practical, pattern-based organization, this volume in the Pattern Recognition series guides you efficiently and confidently through the evaluation of even the most challenging neoplastic and non-neoplastic specimens in breast pathology, and also highlights patterns crucial to radiologic diagnosis. Compare specimens to commonly seen patterns, categorize them accordingly, and turn directly to in-depth diagnostic guidance using the unique, pattern-based Visual Index at the beginning of the book. Assess key pathologic and clinical aspects of both neoplastic and non-neoplastic conditions with over 530 high-quality, full-color images that help you evaluate and interpret biopsy samples. Apply the latest techniques and advances in the field, including optimal processing of breast specimens for early detection of breast cancer, the latest molecular diagnosis in breast pathology, and the use of radiology in optimizing detection of breast lesions. Progress logically from the histological pattern, through the appropriate work-up, around the pitfalls, and to the best diagnosis. Find the information you're looking for quickly and easily with patterns color-coded to specific entities in the table of context and text and key points summarized in tables, charts, and graphs. Review all the information essential for completing a sign-out report: clinical findings, pathologic findings, diagnosis, treatment, and prognosis. View key diagnostic features associated with less common conditions in a visual encyclopedia of unusual patterns at the end of the book. 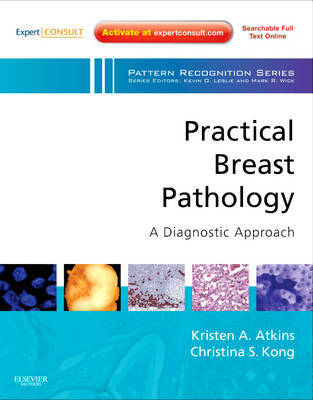 Tackle the diagnostic challenges of breast pathology with the pattern recognition approach.